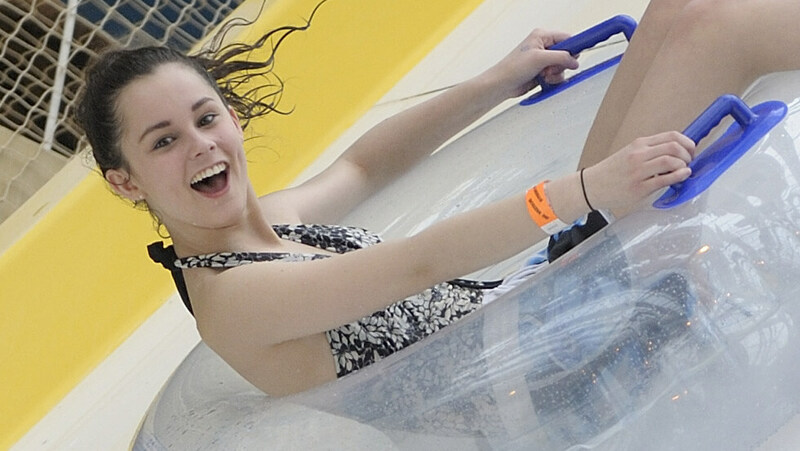 The Hyperzone consists of 4 amazing white knuckle waterslide adventures. Master Blaster, Sidewinder, Montazooma and Aztec Falls – 4 completely different and exciting experiences, perfect for thrill seekers. Making up our selection of White Knuckle rides is the Duelling Dragons. 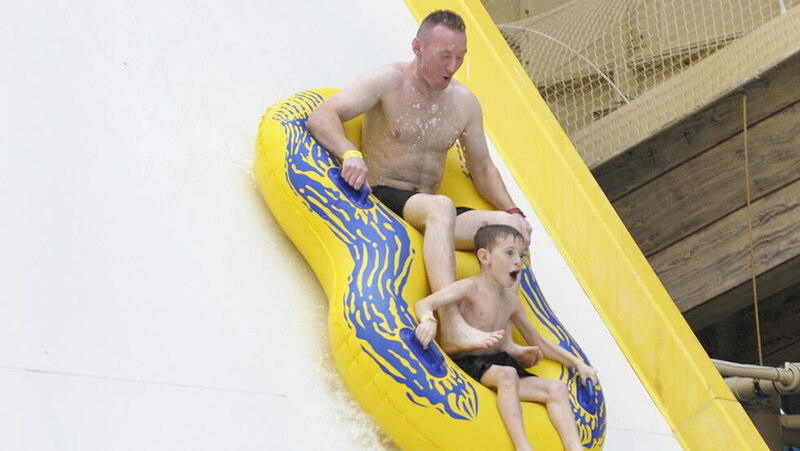 You will need to purchase a Hyperzone wristband to the ride the slides in the Hyperzone. Masterblaster is The World’s longest indoor rollercoaster waterslide! 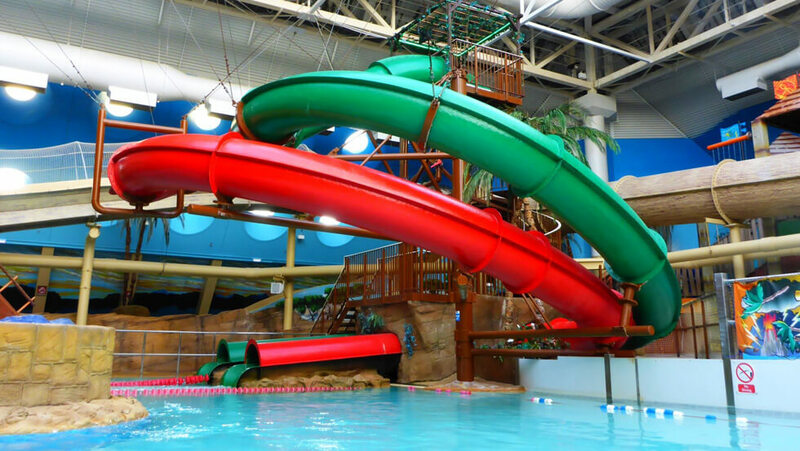 The ultimate white knuckle rollercoaster waterslide, totalling 250 metres in length. 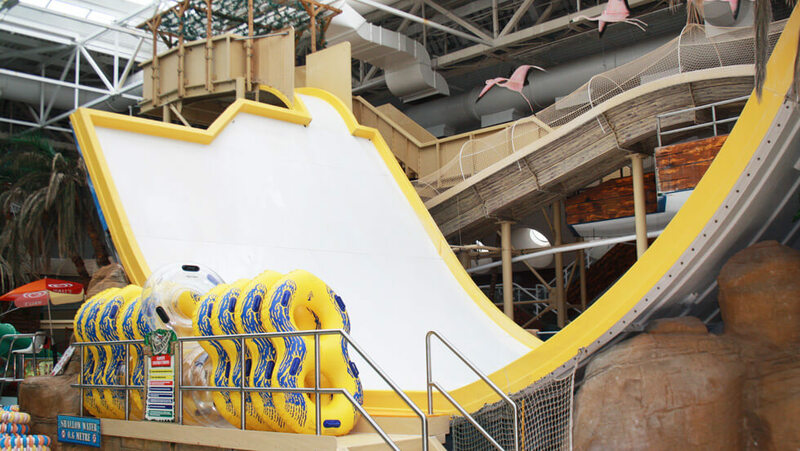 Water injection technology propels raft riders at high speeds up steep inclines and down big dips, this monster of a slide snakes it’s way out onto the Promenade before crashing back in again! The Masterblaster is also the World’s first uphill water rollercoaster! Disabled access: Not advisable for people with some physical disabilities or impairments, we will be more than happy to give advice on an individuals basis and we ask that you contact our Safety Hotline on 01253 340721 prior to your visit. The Worlds first Indoor white knuckle sidewinder – an almost vertical drop into this exciting half pipe ride! 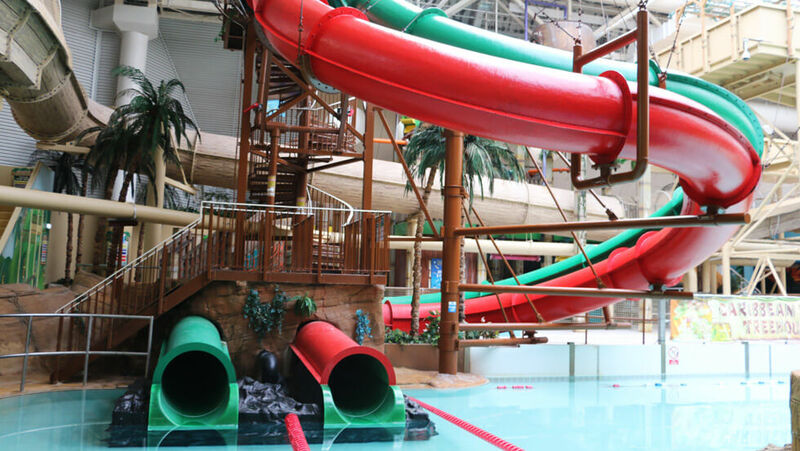 Not suitable for people with some physical disabilities or impairments, we would however be more than happy to discuss individual requirements and ask that you contact our Safety Hotline on 01253 340721 prior to your visit. This slide really does put the ZOOM in Montazooma! 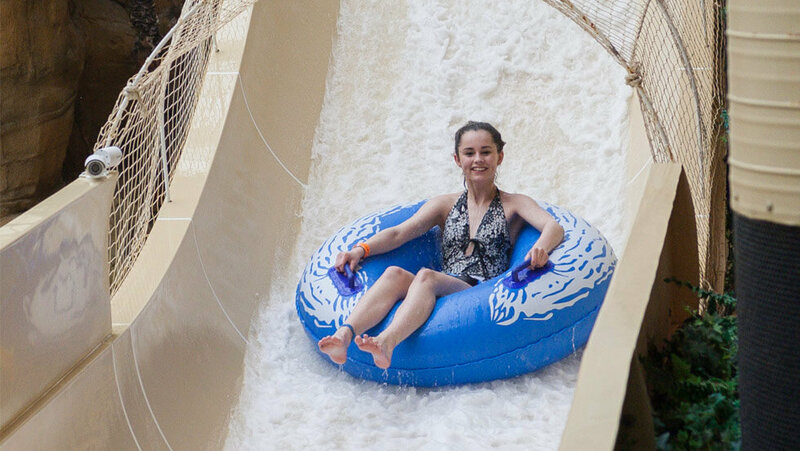 Hurtle head first through hairpin bends and 360 degree helixes at fantastic speeds on a thrilling, white knuckle water adventure! Disabled access: Not suitable for people with some physical disabilities or impairments, we would however be more than happy to discuss individual requirements and ask that you contact our Safety Hotline on 01253 340721 prior to your visit. Climb to the top of the Aztec Falls temple and be prepared to drop in complete darkness into the whirling chasm of the Aztec Bowl. 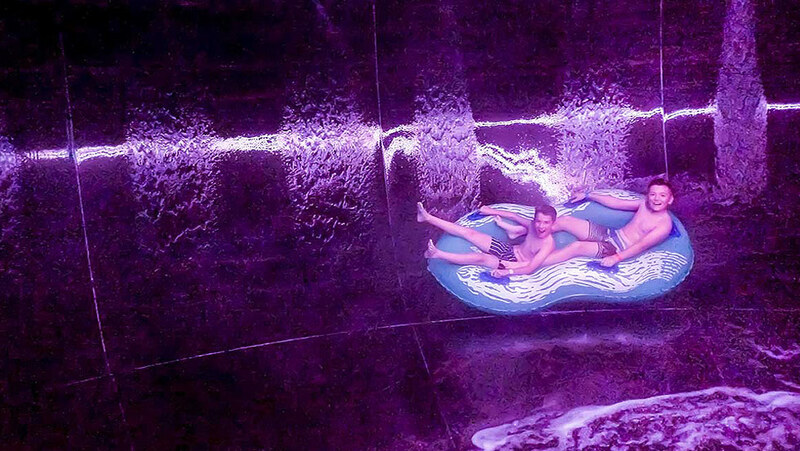 Ride solo or as a duo, this raft ride is an amazing experience and certain to delight thrill seekers. Behold! Side by side dragons, one red, one green, but who will win the race to escape from the claws of these mighty beasts. Not suitable for people with some physical disabilities or impairments.